This rather unassuming box reveals a wonderful secret ... ! 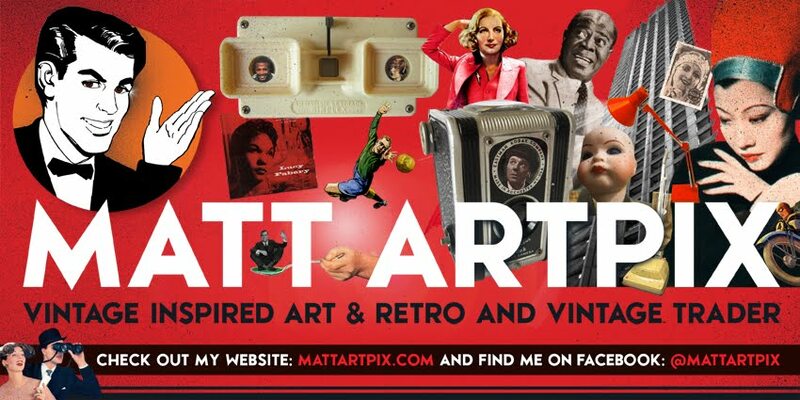 Open it up and you enter a fantastically kitsch world!! 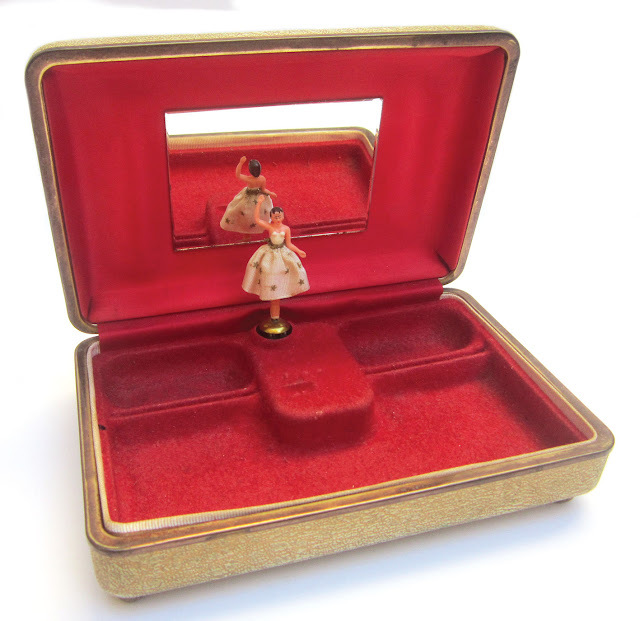 Plush red velvet lining, and a ballerina that revolves around as it plays a little tune. Despite its slightly comical look its actually made by a world famous company, who are leaders in the field of musical and mechanical boxes. 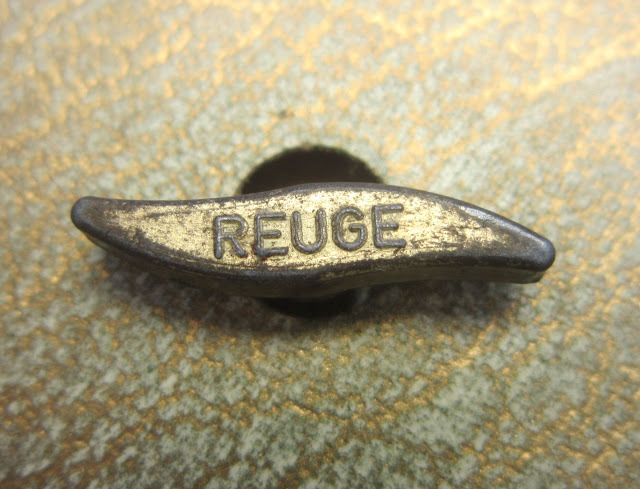 The Swiss firm Reuge started out in the tiny village of Sainte-Croix in Switzerland in 1865. Founded by Charles Reuge, the company grew and grew and became THE place to get your innovative musical boxes. Our little box dates to the 1950s, when presumably Reuge were in their Kitsch period!! 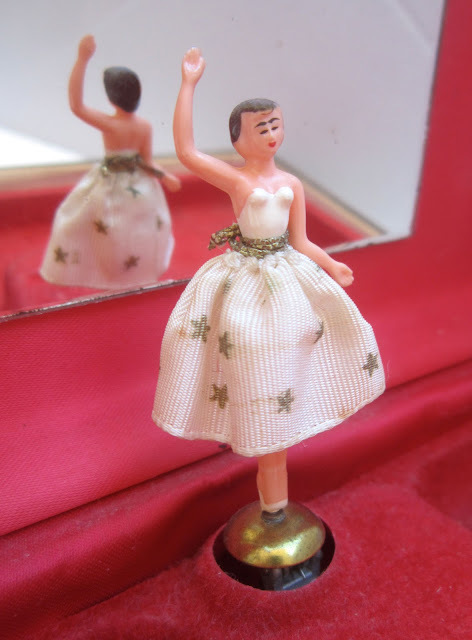 The tiny ballerina twirls around to the tune of Oh, What a Beautiful Mornin', from the Broadway play and later the film, Oklahoma, first coming out in 1943. 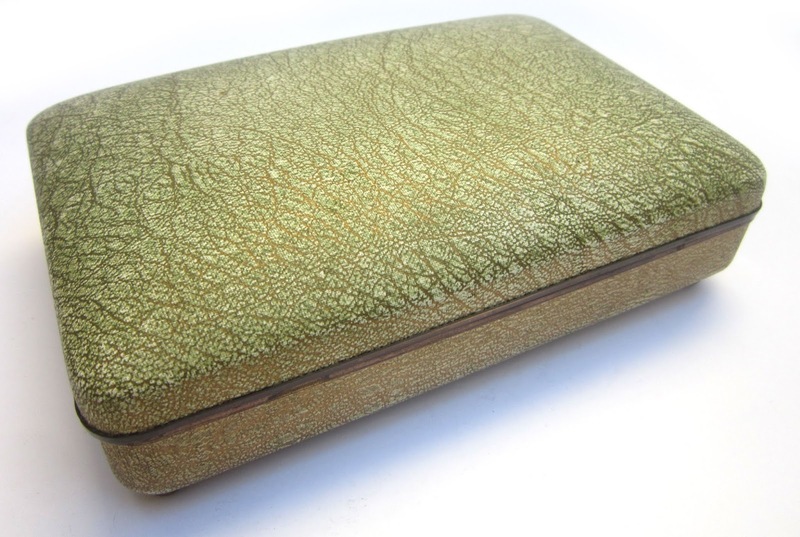 They were made as jewellery boxes, and there is no reason why this gem can't carry on playing, as you keep your precious pieces in there on your dressing table! 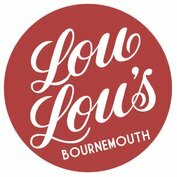 So if you fancy this, come along to my next fair at LOU LOU'S BOURNEMOUTH VINTAGE FAIR on Sunday 17th February at Bournemouth's Pavilion Theatre, and see it for yourself!